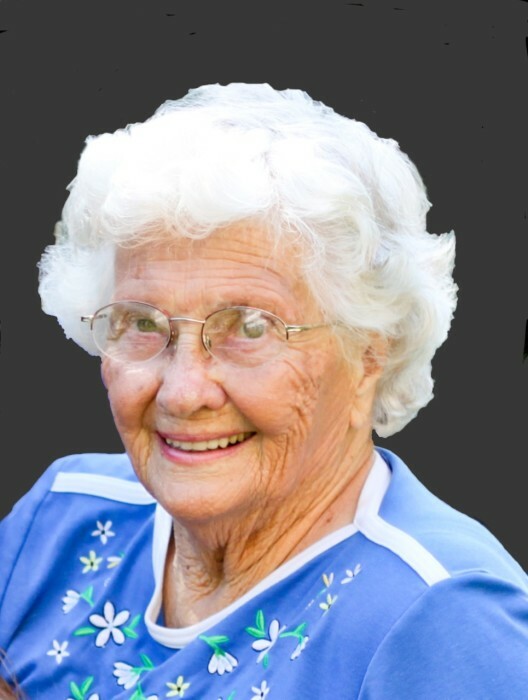 Louise Shumate, 92, of Strong City, KS, formerly of Cedar Point, KS died Thursday, January 17, 2019 at the Chase County Care and Rehabilitation Center in Cottonwood Falls, KS. The daughter of Charles and Ruth (Lauffer) Rader, Louise Jean was born September 19, 1926 in Howard, KS. She graduated from Piedmont High School in 1944. She received her teaching certificate from Kansas State Teachers College in Emporia, KS and taught school in Cedar Point prior to her marriage. Louise and Frank E. Shumate were married June 1, 1950 in Emporia, KS. He preceded her in death on April 22, 1994. Louise was a homemaker and managed the newly built swimming pool in Cedar Point for three years. She worked for many years for Western Associates in Cedar Point and Marion KS. She was a member of the Cedar Point Methodist Church. Louise was happiest when she could be outdoors gardening, driving around in her car, or sitting in a chair on her porch. She enjoyed sewing and cooking. Louise is survived by her son, Richard (Deborah) Shumate of Overland Park; her daughter, Sharon (Vaden) Burton of Sloan, IA; her sister, Arlene Connors of Haysville; five grandchildren: Victoria (Colin) Fitzgerald, Nicholas (Mindy) Shumate, Sarah (Andrew) Harvey, Kyle (Michelle) Burton, Matthew (Markie) Burton, and; ten great-grandchildren: Declan and Liam Fitzgerald, Ella and Layton Harvey, Kayla, Kenneth, and Anna Burton, Jesse, Brady, and Gracee Burton. In addition to her husband she was preceded in death by her parents and a brother, Paul Rader. There will be a visitation Wednesday from 6:00 until 7:30 at the Brown-Bennett-Alexander Funeral Home. A celebration of life service will be held Thursday, January 24 at 1:00 at the funeral home. Interment will follow in Cedar Point Cemetery.Memorial contributions to the Chase County Jr/Sr High School Athletic Department may be sent in care of the funeral home, PO Box 220, Cottonwood Falls, KS 66845.Online messages for the family may be left at www.brown-bennett-alexander.com. or at Brown-Bennett-Alexander Funeral Home on Facebook.